With the arrival of 2010, I wish all my readers a very Happy New Year. 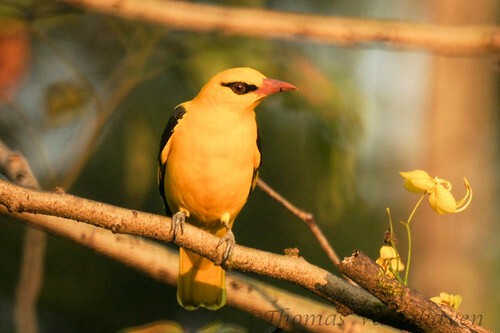 To usher in a lovely year, I present to you a beautiful bird. 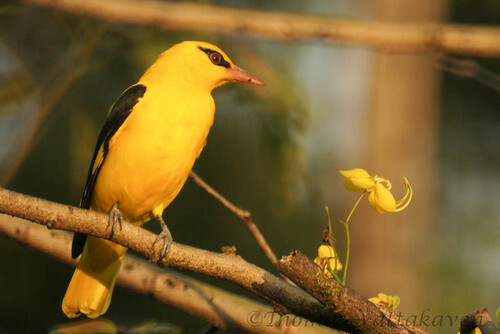 Earlier I had posted about the Black-naped oriole. 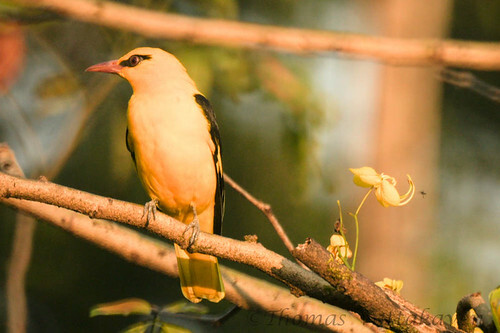 That species is not the only oriole found around Karimannoor. 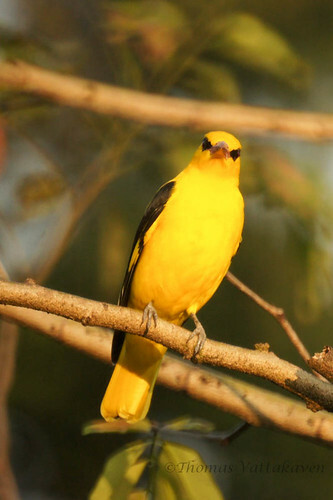 While the former species is a winter visitor, the Golden Oriole (Oriolus oriolus). 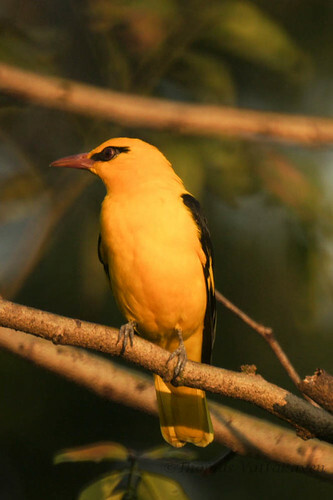 The Oriolus oriolus species has recently seen sub divisions with the Indian Oriole being designated as Oriolus kundoo. 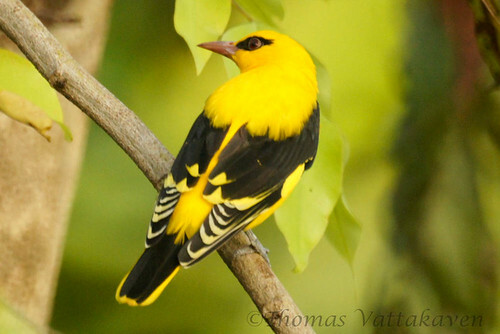 More information on the species is available here. 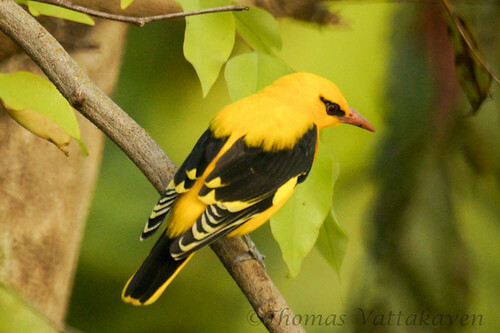 These are some of the better pictures I have obtained of the bird. The black marking on the eye is a distinctive differentiating feature. 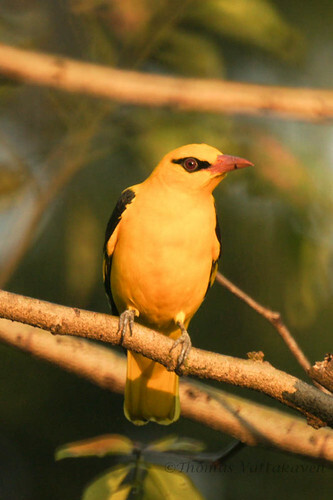 This particular bird appears to have a black mark on the right side of its beak, I would say this is just a one off maark, or perhaps a temporary stain. Enjoy the images.